So, I know the whole gluten free diet is a trend that’s really catching on, and it’s hard to find a health and fitness blogger that doesn’t advocate the benefits of going sans gluten…. but I must say, I am the exception to this rule! Maybe it’s just me, but my opinion is that unless you have a recognised gluten intolerance, gluten-free isn’t necessarily healthier. 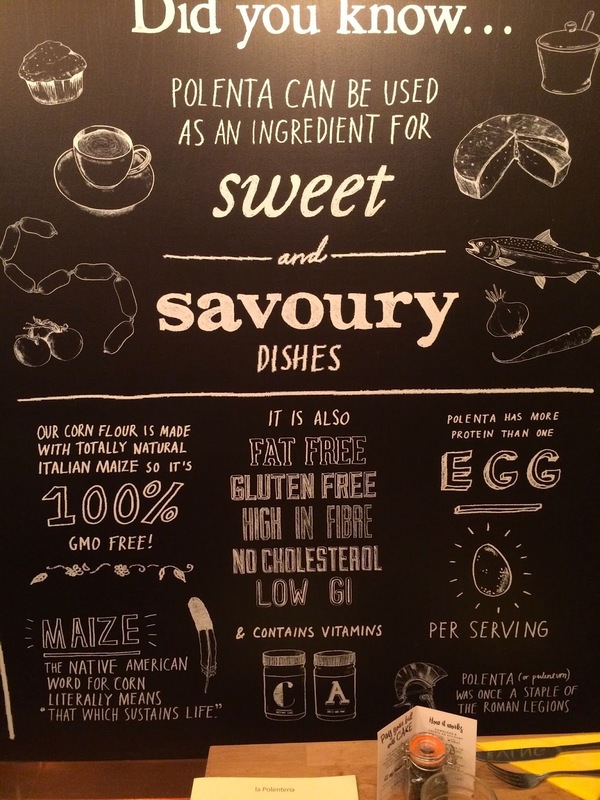 Infant, sometimes quite the opposite, as I have found gluten free flours are often much more refined, have a lot of additives, and not nearly the same amount as fibre as a natural, hearty, wholemeal flour. 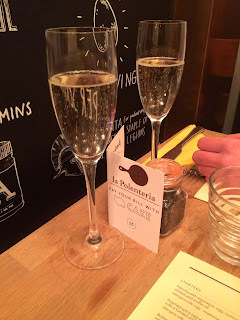 So, when I was invited to trial out the menu at La Polenteria, London’s first and only 100% gluten free Italian, I was naturally a little nervous! A gluten free Italian…surely such a thing can’t exist?! As a firm lover of carby, gluten filled, Italian pasta, I was skeptical but, in the name of research, willing to give it a shot. And i am happy to admit I was pleasantly surprised. Very pleasantly surprised! The great thing about La Polenteria is that their dishes are made from ingredients that are all naturally gluten free and, as you may have guessed from the name, the menu is based around polenta dishes. 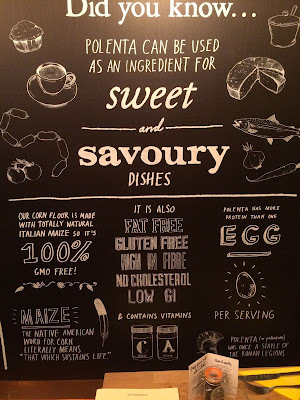 A popular dish from North Italy, where La Polenteria founder Gabriele Vitale originates, polenta is a naturally gluten free maize flour, often cooked simply in hot water with a pinch of salt. However, by twisting traditional and modern fusion cuisine, the creative menu Gabriele has designed for La Polenteria proves the traditional corn can be just as exciting and tasty as it's less healthy alternatives! Educating their guests on the versatility of Polenta! 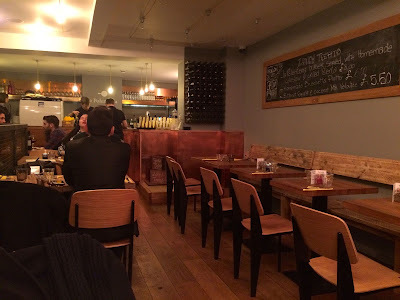 Visiting the restaurant one weeknight after work, it was sufficiently busy and lively, but not so packed that we were unable sit comfortably (as can be the case in most Soho restaurants on a weeknight). After being greeted at the door and shown to our table, we took a look at the delicious sounding menu. 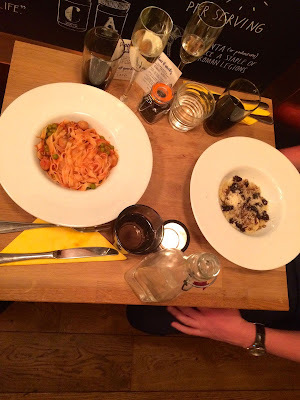 Although we only felt capable of fitting in two courses, we were equally as tempted by the starters and deserts, so decided to order our own mains and share a starter and sweet. No need to compromise! 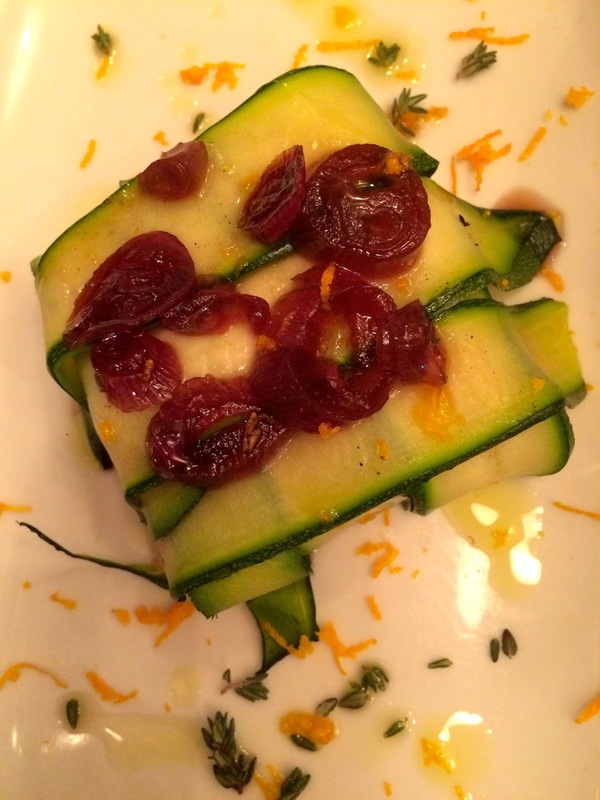 For our starter, we decided on the Courgette box with pickled shallots, and were presented with a beautifully put together stack of thin courgette slices, dressed in olive oil and topped with a sweet pickle relish. Whilst the main menu featured lots of intriguing polenta options (including Polenta Dome with Cheese, Polenta with sausages and berlotti beans and, the one that really appealed to me, Polenta with Beef Stew), as soon as I discovered the daily special - homemade pasta with baby cuttlefish - my decision was made! Thick strings of freshly cooked Tagliatelle, bound in a rich tomato sauce, with perfectly chewy cuttlefish and a sprinkle of garden peas throughout, this dish hit the nail on the head. Especially when the waiter bought out my beloved balsamic vinegar to pour a little on top.... HEAVEN! 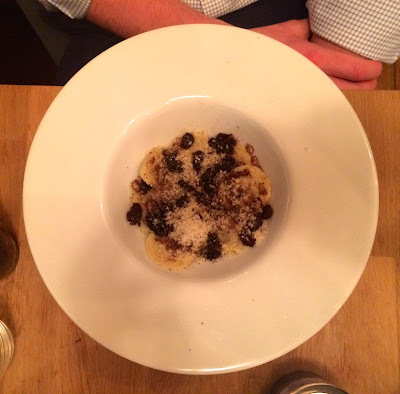 And turns out I'm not the only lover of pasta, as my plus one also forgo the polenta options to try the home made beef ravioli, served with balsamic reduction, pinenuts and raisins. A very unusual combination, but one that certainly went down well - the perfect mix of rich and meaty flavours complimented with the sweet and fruity fusion. 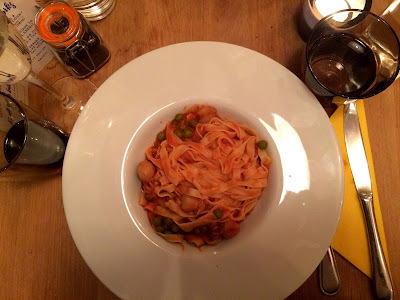 Whilst the flavours couldn't be faulted, the only downside was the small portion size.... especially as it was so delicious, it was almost teasing us! I have since been informed by La Polenteria, however, that they have now increased it from 11 ravioli parcels to 14. That's more like it! But the upside of the smaller portion is that there was still plenty room for desert and, being in an authentic Italian restaurant, the tiramisu option really was a no-brainer! 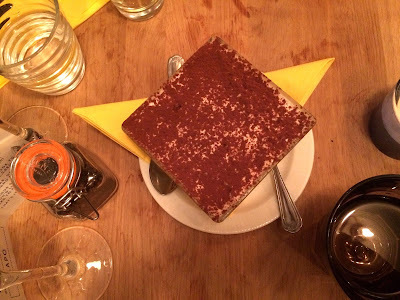 Even better, this time there was certainly no skimping on size, as we were presented with a deep desert dish filled with luxurious layers of sponge, cream, chocolate and booze. How could you not enjoy?! 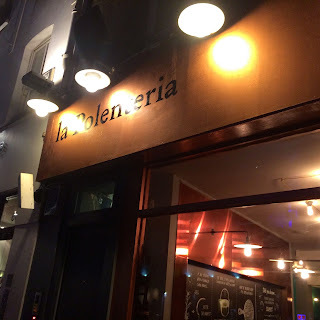 Price wise, La Polenteria is extremely reasonable and, with main courses averaging at around £15, you would expect to pay approx £50 for a 3 course meal for 2, excluding drinks. 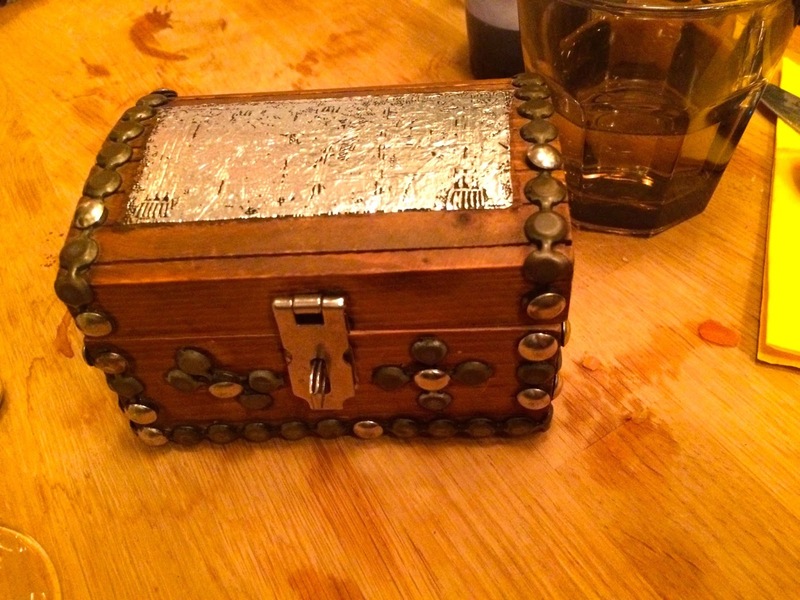 I especially loved that our bill was presented to us in a little treasure chest, which unlocked to reveal the receipt in a luxurious red lining with a little business card for future visits. So cute! A nice way to dress up a bill! 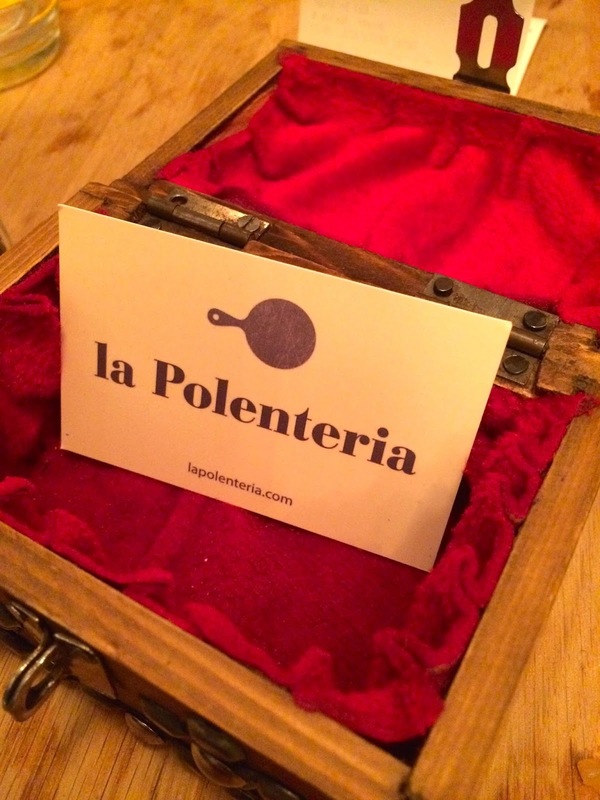 Overall, the meal was absolutely delicious and I cannot thank the team at La Polenteria enough for such a lovely evening. Having now been converted to the world of gluten free, I would happily recommend La Polenteria not only to those with allergies, but to anyone who simply appreciates the taste of good, hearty, homemade Italian food! Get matched with likeminded people who have the same fitness goals as you! Thank you for posting this. Your post are very helpful! YogaBox Launch at Lululemon London!